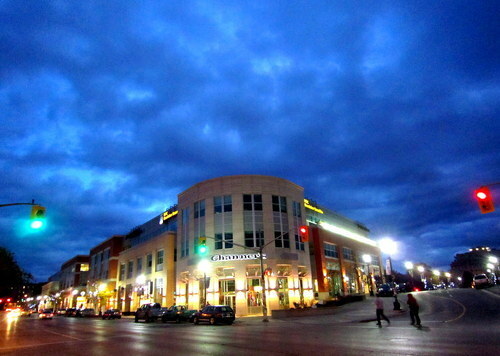 It was a brrrbrrrbrrrrrrr cold night, but I couldn’t resist heading to OktoberFEAST at Uptown Waterloo. So many choices, but not many people. I guess it was a little too chilly? 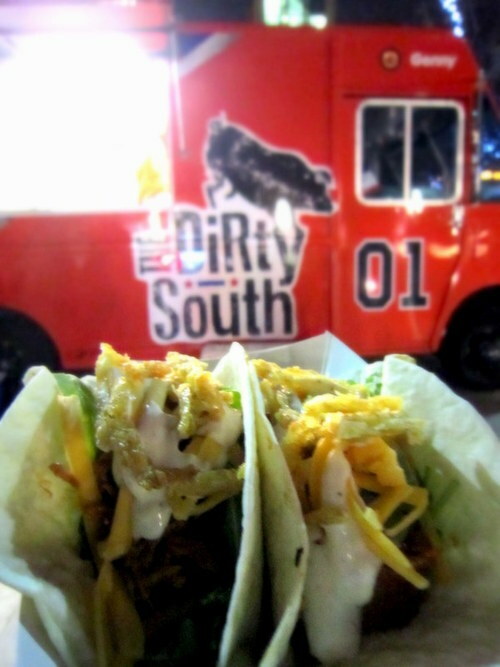 Y decided to get pulled pork tacos ($7.50) from Dirty South. 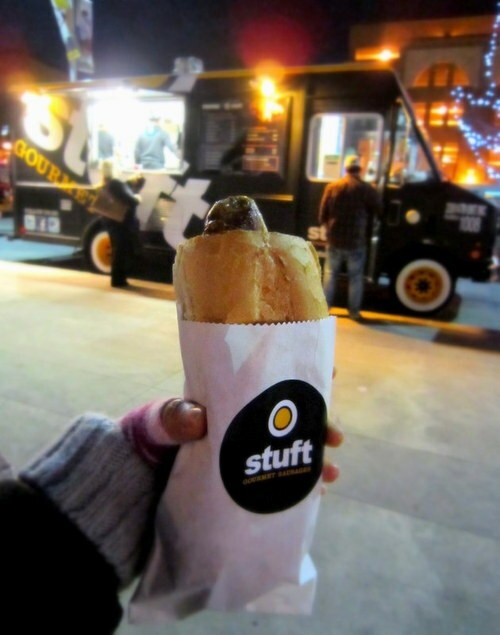 I decided on spinach & feta & lamb/beef sausage with wasabi mustard ($9) from Stuft. 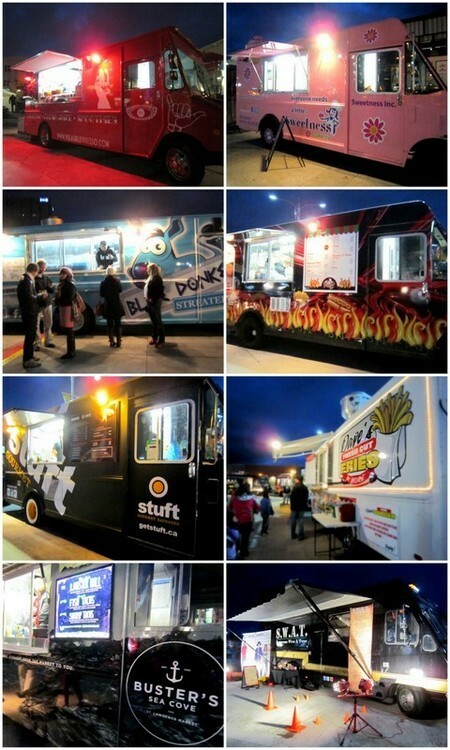 Food trucks will still be there Sunday, October 7th, 11am to 3pm. Go check it out for some yummy omnomnoms!